Viña Casa Marín is a family business run by María Luz Marín. Her son Felipe Marín follows in her footsteps as a winemaker and her older son Nicolas Marín helps in the administration of the company. 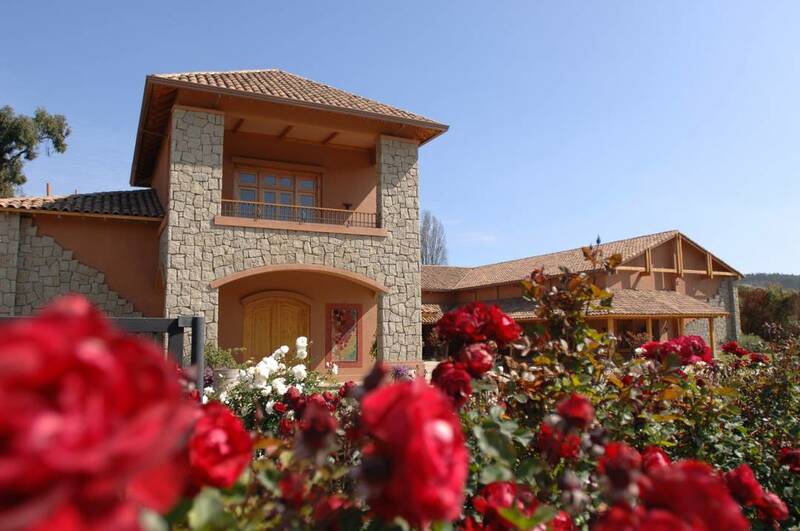 Together they have created the most awarded Chilean wines outside of the country in the icon and premium categories, and they represent people who dedicate themselves exclusively to the winery. In general, the team is the Marín family – siblings and children – who continue on passionately support this boutique winery’s growth. Casa Marín’s story began with its founder, owner and winemaker, María Luz Marín’s, dream. Nothing better describes this winery than the story of a woman who fought to create a unique winery with fine, exclusive wines. In 2000, against advice from colleagues and experts, she decided to establish her winery in Lo Abarca, a small town in the San Antonio Valley. Despite warnings about problems with location, the cool-climate and people’s disbelief, she was successful in creating a company whose wines have been awarded throughout the world and have helped position Chile in a distinct light with its high quality, high value wines. Viña Casa Marín is located in a privileged and unique terroir but one that can seem adverse. The town of Lo Abarca is just 4 kms. from the Pacific Ocean and is covered by a constant fog during the summer and winter months. 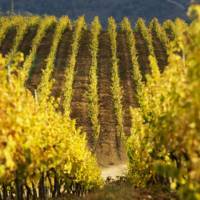 It’s also a very windy area with cold temperatures during the grape growth and ripening period. However, these conditions make the vines produced a superior quality fruit than other valleys with higher temperatures and with massive production. The harvests are not abundant, but the plants that grow here are strong with healthy grapes and greater flavor and mineral concentration that add unique qualities and character to the wines. According to geologists, this area was once part of the ocean which is why there have been high levels of calcium and minerals (each adds to the grapes) found in excavations the winery has done. In fact this is where the new plant name “tierras blancas” (white soil) came from because of its color and the abundant presence of calcium carbonate. 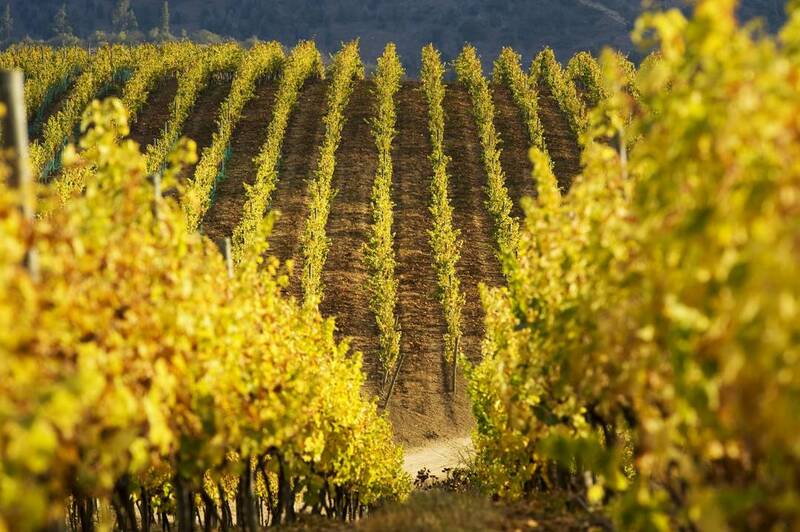 Casa Marín’s terroir is made up of 50 hectares of hills and valleys, of which 10 newly planted. The winery has 8 sections divided into 38 blocks, each with distinct geological and geographic characteristics and planted with its respective grape variety. Our winemaking facility provides us with the required conditions so the wine displays its best qualities naturally, without correcting their acidity. The process begins with the terroir selection. Currently, the winery has 50 hectares of vineyards divided into 38 different blocks. All of the grapes are harvested by hand, when their perfectly ripe. Because of the great diversity of terroir and grape varieties in a cool climate, the harvest begins later and can last from the beginning of March through the end of May. Then our fruit goes through a strict selection process and next to vinification separately in small, individualized tanks. These characteristics of the process mean that the wine reflects the natural character of the grapes and the land they come from. Our Pinot Noir is fermented in French oak barrels between 12 and 14 months. Our Syrah is fermented between 16 and 20 months and our Sauvignon Gris, between 4 and 6 months. The barrel cellar stays at a natural 9 degrees Celsius before the wine goes to be bottled. This way Viña Casa Marín achieves incomparable wines thanks to the work here because of the passionate work done from start to finish. 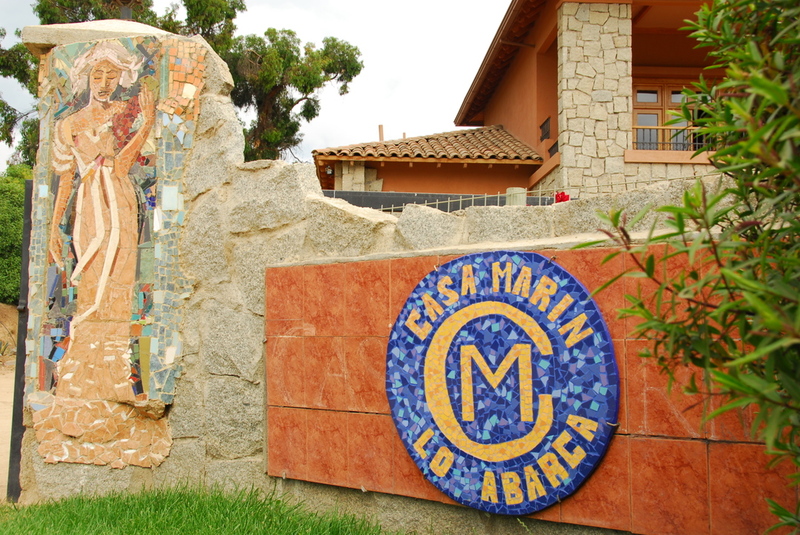 Both Casa Marin’s vineyards and winemaking facility are located in Lo Abarca, part of Chile’s fifth region, just 4 km. from the ocean. It’s here where a select process for making some of Chile’s most exclusive, quality wines is developed. It begins with terroir and then continues in the specially designed winemaking facility. You can visit the winery, take a tour and taste our wines throughout the year, by reservation. 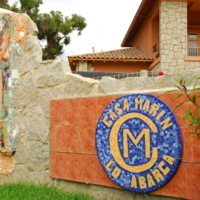 Viña Casa Marín was established in the town of Lo Abarca, part of the San Antonio Valley and the fifth region. It is considered a radical area to plant grapevines because of the land’s characteristics. Thanks to these conditions and the creation of land divisions, or specific terroir blocks, the most exquisite icon and premium wines are produced here, both red and white. 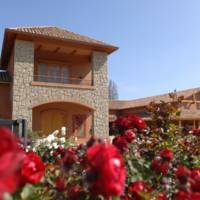 Casa Marín’s specialty is its fantastic Pinot Noir, Syrah, Sauvignon Blanc, Riesling, Gewürztraminer and Sauvignon Gris, all cool-climate wines. María Luz Marín built her own winemaking facility during the years 2003 and 2004, in order to produce wines with special characteristics from a maximum of 50 hectares. Her facility was specially built for a boutique winery, which has the ideal space and temperature qualities that extract the pure flavor from the grapes and that guarantees production quality. Felipe Marín, María Luz’s son, is the winemaker and head of the production and work at the winery. The facility is colonial style with Chilean tiles made from clay and decorated with beautiful mosaics made by Patricia Marín, another family member. The building also has a wine shop, tasting room, wine cellar as well as a production and packaging area. Regarding winemaking, it has a total storage capacity of 200 tons and 180 thousand liters. • 31 stainless steel tanks of various capacities for more versatility and to optimize individual characteristics in the grapes from each block, between 1000 and 15,000 liters, each with its own temperature sensor. • Vibrating sorting tables for cluster and berry sorting. • 240 French oak barrels, most with a capacity of 228 liters.